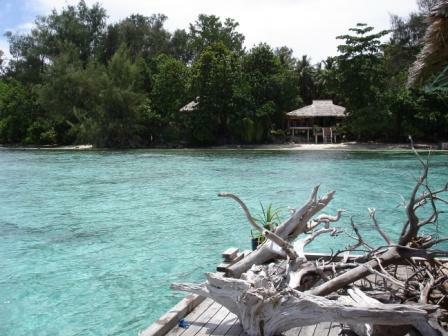 Gizo has accommodation to suit every taste. We can recommend a number of Lodges with private or shared facilities, and restaurants with licensed bars, situated either across from our shop on the waterfront or high in the hills with panoramic views. 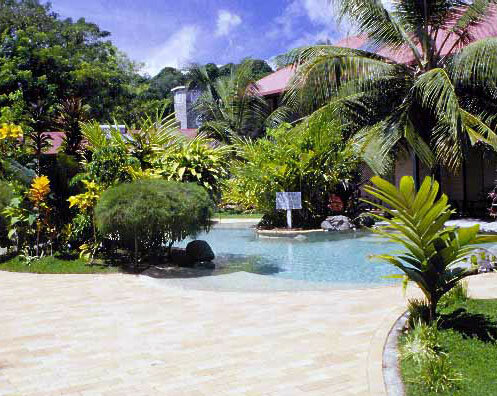 This hotel is situated on the waterfront of Gizo, and offers comfortable accommodation, poolside relaxation, and access to some of the most beautiful sites of the Solomon Islands. The split level open air "Leaf Haus" restaurant and bar offers a wide variety of fresh local cuisine in the relaxed upstairs restaurant, and fresh ocean breezes and cool drinks in the downstairs bar. Local entertainment is a regular feature. Room features include a balcony, ceiling fans, en suite with shower and half bath. IDD telephone, refrigerator and tea and coffee making facilities. The deluxe Poolside and Seaview rooms are also air-conditioned. 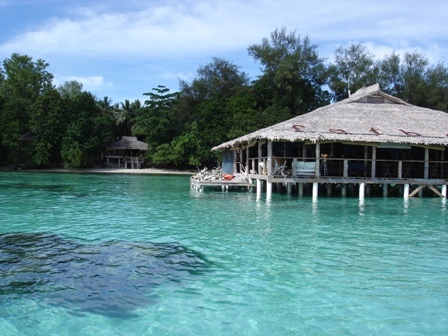 Whether you opt for action or total relaxation, the beauty, peace and adventure of the Solomon Islands is right at your fingertips at the Gizo Explorer Hotel. 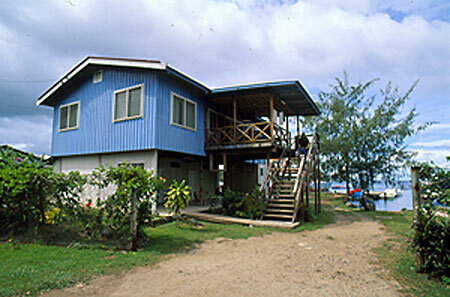 Guests houses offer many conviences for the budget minded traveler. 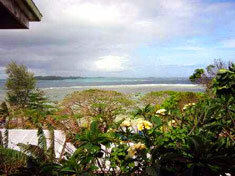 Pick a guest house based on location to town, or the fabulous views from those just outside of town. Many guest houses offer rooms with private bathrooms and air conditioning, visit http://www.solomonislands-hotels.travel/ to see more. For an experience of a lifetime - try the tranquil surroundings of a Village Stay. 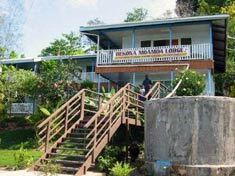 Your host, Venti from Hambere on Kolombangara, will open your eyes to the traditionsand customs of Solomon Islanders- from the leaf house you stay in, to the fishing and cooking methods used daily.Just 30 minutes boat ride from Gizo. This is a fantastic opportunity for children and an ideal family get-away!